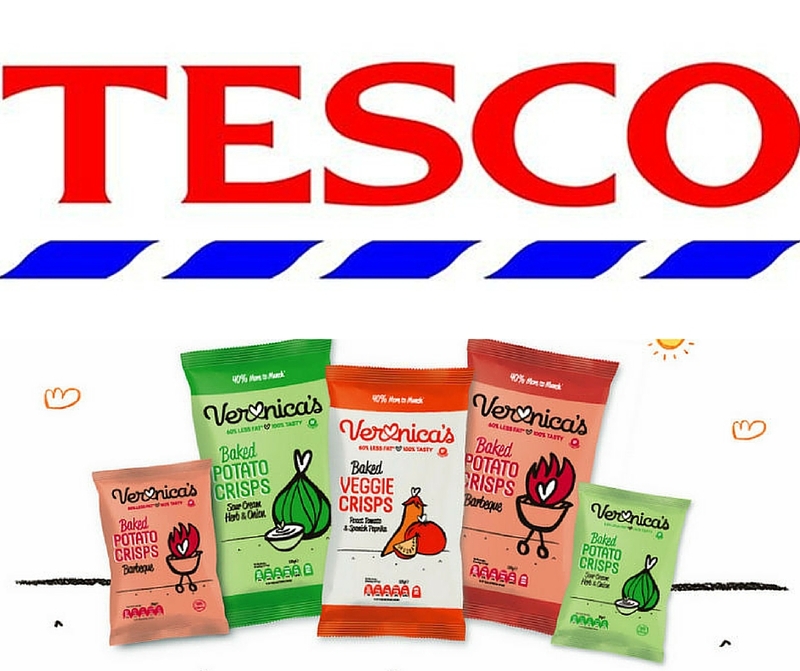 Veronica’s snacks back in uk tesco stores! To all our amazing UK customers! However, due to a system error we went off their sales at the end of November but thank fully we now have climbed the hurdle and fixed the problem and (Yeah!) the stock is flowing in again! Tesco, hats off to them, got it all sorted and we should be back on sale this week. I want to particularly say thank you to Naveed the manager at the super busy Bishops-gate store and his assistant Veronica , who were extremely helpful in explaining exactly what the system had done and allowed me to understand what I needed to do to get us back on track again. You can find us as part of the meal deal in Tesco including our small Sour Cream, Vegee Tomato and Herb and Tyrano is back with Crunchy Creatures 30g! Let us know what you think UK munchers and thanks again to Tesco!